South Africa is by no means a rich country. Yet, somehow it flourishes in the mobile phone market. Currently we have 3 mobile operations (MTN, Vodacom and Cell-C). We used to have Virgin Mobile, but I never met anyone that actually used them. Later in the year, the 4th mobile operator in the form of Telkom will enter the South African market. Is there really anything that Telkom can add to the market apart from its current monopoly in the fixed-line market? Yes, I know, we do have a 2nd fixed-line operator in the form of Neotel, but have you heard of anyone, except Neotel employees, using them in a private capacity? Can Telkom indeed add anything that other operators haven't added already? When reading through Telkom's offering, it truly does not seem anything better than any of the other operators. Why would I want to move my current contract with MTN to Telkom? Are they going to be much cheaper than the others? That could be a consideration. 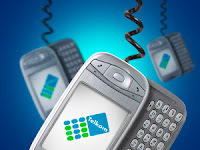 What would make many reconsider their current contracts with other operators is if Telkom would give them one number for use with both their fixed-line and mobile services. That would mean that a person's phone would both be a fixed-line phone and mobile phone, and you would not need 2 or more phones for people to contact you. But, then, many people have already dumped Telkom altogether, making use of mobile phones only. For myself, I still have Telkom for their fixed-line services and MTN for mobile services. Then I use MWeb for my ADSL. Telkom is still cheapest for fixed-line calls, and in call-more time (7pm-7am) my calls are free (as long as each call is not longer than 3600 seconds). So, if I am going to call a fixed-line number I use Telkom. Another reason I like to have a Telkom number and MTN number is that only family and friends (and those dastardly tele-marketers) have my Telkom number at home. I switch my mobile off sometime during the night so that the undesirables don't trouble me. I am usually quite certain that if I hear the home phone ring that it is either family or friends. 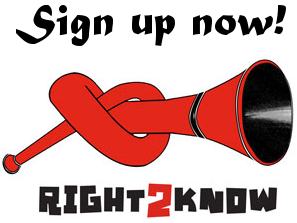 So, what are your thoughts concerning Telkom's entrance into the mobile market? Posted by Unknown at Thursday, July 08, 2010 Email post to a friend! Do people really believe this is good fashion?